How do you know if a club meeting is cancelled on account of bad weather? In the event bad weather - pay particular attention to Closure information/updates via the Lake Washington School District website (www.lwsd.org). 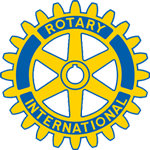 If LWSD schools are closed or delayed = NO Rotary Club meeting.